Sara Ali Khan having a good time with 'Simmba' team in Switzerland! 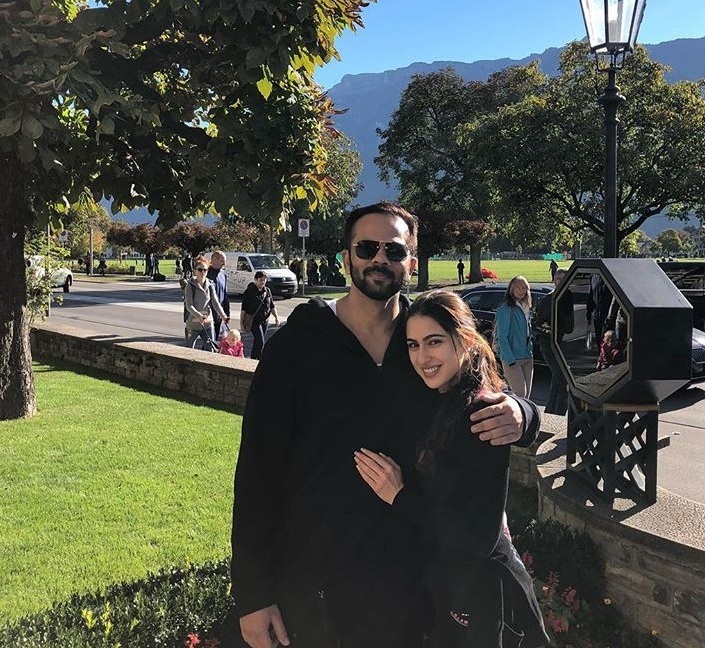 Sara Ali Khan shares some photos of her hangout in the beautiful place of Interlaken, Switzerland with the Simmba team on their shooting schedule! Simmba is directed by Rohit Shetty and produced by Karan Johar's Dharma Productions. It stars Ranveer Singh and Sara Ali Khan in lead roles. This will be the first time where Rohit and Ranveer have collaborated. Ranveer will play as a cop in the movie. Simmba is aiming for a grand success after other Bollywood cop movies like Singham and Dabangg. The film is a remake of 2015 Telugu blockbuster film Temper and will release on 28 December 2018.